HellLight are a band from Brazil that has had music reviewed before in this zine and plays an atmospheric form of funeral doom/death metal and this is a review of their 2018 album "As We Slowly Fade" which was released by Solitude Productions. Clean playing starts off the album along with some atmospheric sounding synths a few seconds later which also gives the music more of a depressive atmosphere and the also mix in with the heavier sections of the songs at times while most of the tracks are very long and epic in length. A great amount of melody can also be heard in the guitar riffing while the slower sections of the songs are very heavily rooted in funeral doom metal along with the solos and leads being done in a very melodic style as well as some spoken word parts also being used briefly and all of the musical instruments have a very powerful sound to them. Death metal growls can also be heard quite a bit throughout the recording while clean vocals are also utilized in some parts along with some blast beats also being utilized when the music finally speeds up and the music also mixes in a great amount of 90's era atmospheric doom/death metal influences and operatic female vocals are added onto the closing track briefly. HellLight creates another recording that remains true to the atmospheric style of funeral doom/death metal from previous releases, the production sounds very professional while the lyrics cover sorrow, loneliness, death and paganism themes. 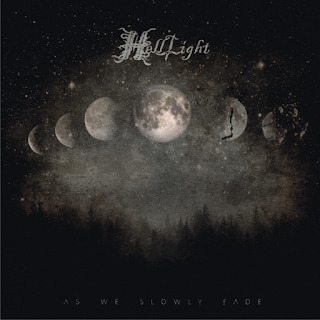 In my opinion this is another great sounding recording from HellLight and if you are a fan of atmospheric funeral doom/death metal, you should check out this album. RECOMMENDED TRACKS INCLUDE "As We Slowly Fade" "Bridge Between Life And Death" and "Ocean". 8 out of 10. 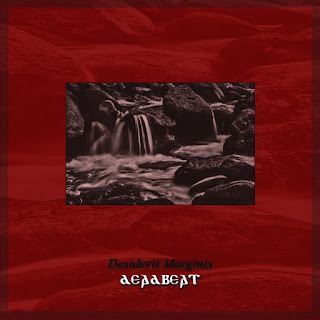 Desideri Marginis is a solo project from Sweden that plays a mixture of dark ambient and industrial and this is a review of his 2001 album "Deadbeat" which was re-issued in 2018 by Cyclic Law. Atmospheric sounding drones and soundscapes start off the album while ambient style synths are also a very huge part of the music along with some harsh noises also being used briefly as well as most of the tracks being industrial and the songs also incorporate a great amount of industrial elements. Programmed beats can also be heard in some parts of the music while all of the tracks sound very different from each other along with one song also introducing spoken word parts onto the recording as well as a brief use of melodic chants as the album progresses and on of the tracks is very long and epic in length. 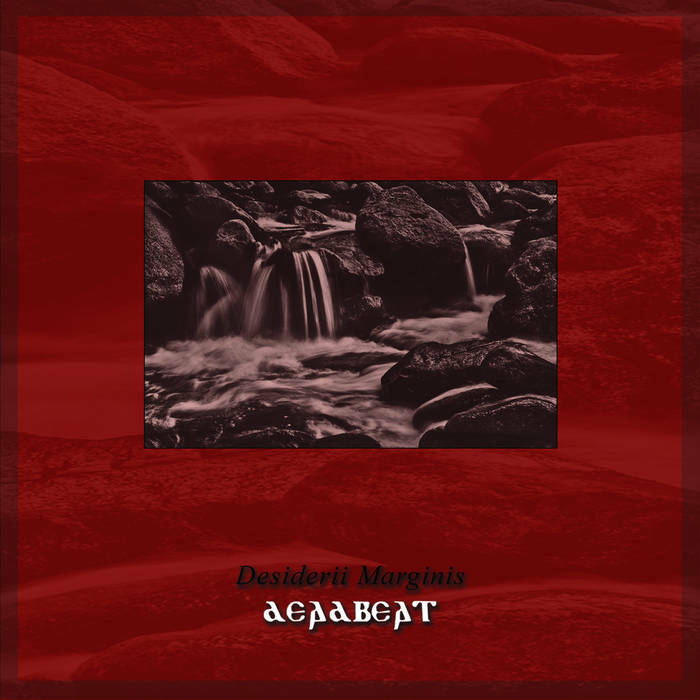 Desideri Marginis plays a musical style that takers dark ambient and industrial and mixes them together to create a sound of his own while also keeping most of the music in an instrumental direction and the production sounds very dark. 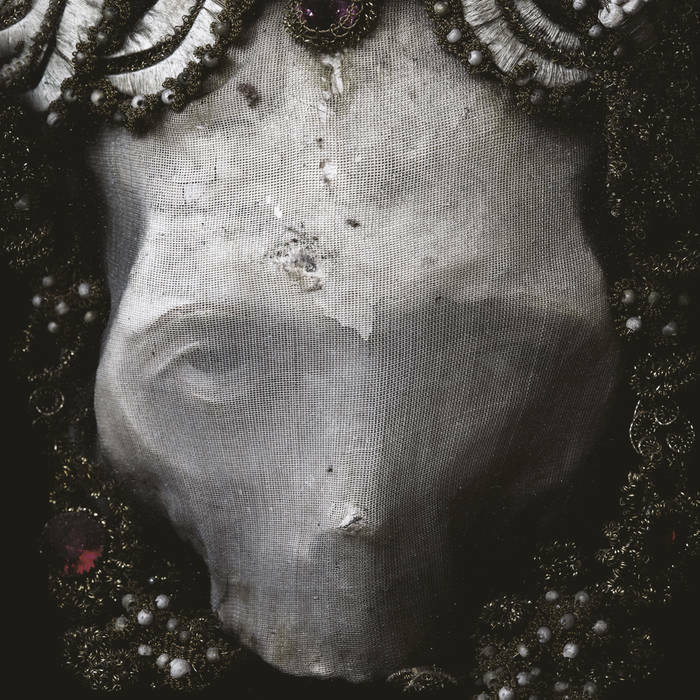 In my opinion Desideri Marginis is a very great sounding mixture of dark ambient and industrial and if you are a fan of those musical genres, you should check out this solo project. RECOMMENDED TRACKS INCLUDE "Deadbeat I" "Gods Shadow on Earth" "Beyond Retrieval" and "Unclean". 8 out of 10. Cober Ord are a musical project from France that has had an album reviewed before in this zine and plays a blackened mixture of ritual, experimental and industrial and this is a review of his album "Le Chant Des Ruines" which will be reelased on December 21st by Cyclic Law. Field recordings start off the album while atmospheric sounding drones are added onto the recording a few seconds later along with the drum beats giving the songs more of a ritualistic feeling as well as some of the tracks being very long and epic in length and most of the music is instrumental. At times the music gets very experimental and avant garde sounding while the grim whispers also add in a touch of black metal along with some synths also being added into certain sections of the recording as well as some elements of industrial and noise also being added into some parts of the music and as the album progresses a small amount of ethnic musical instruments can also be heard and one track also bring s in guitar and ritualistic chanting. 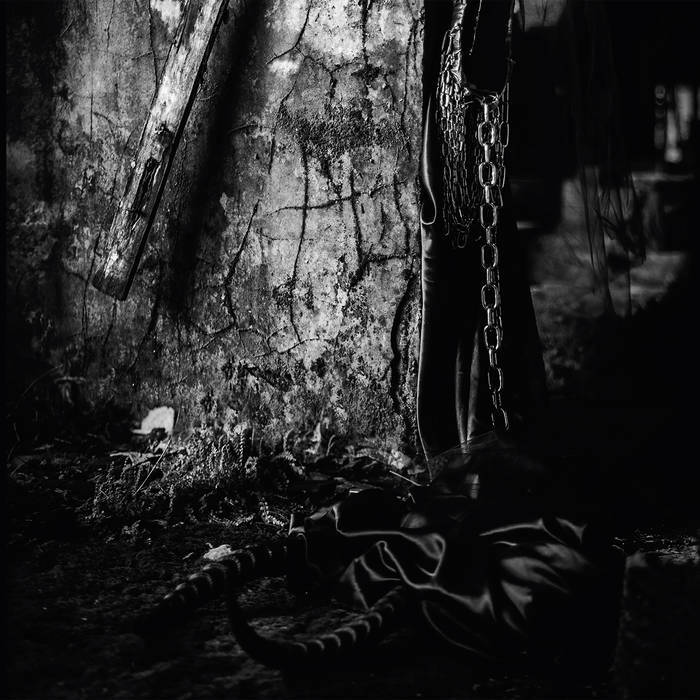 Cober Ord creates another recording that remains true to their blackened mixture of ritual, experimental and industrial, the production sounds very dark while the song themes focus on the occult. In my opinion this is another great sounding recording from Cober Ord and if you are a fan of black metal influenced ritual, experimental, and industrial, you should check out this album. RECOMMENDED TRACKS INCLUDE "Spectres" "Almageste" and "Le Chant Des Ruines". 8out of 10. Death Crvx are a band from Los Angeles, California that plays a mixture of horror punk, dark goth and death rock and this is a review of their 2018 album "Mutant Flesh" which was released by Sentient Ruin Laboratories. Post punk style bass guitars start off the album along with some heavy riffing a few seconds later while the solos and leads are done in an 80's death rock style as well as the music also utilizing a decent amount of synths and the clean vocals are done in more of a goth rock direction. When aggressive vocals are utilized they add in a touch of black metal while also giving a retro style of music more of a modern touch along with some of the drumming displaying a little more aggression as the album progresses as well as all of the music sticking to more of a mid tempo style and saxophones can also be heard in certain sections of the recording. Death Crvx plays a musical style that takes horror punk, dark goth and death rock and mixes it with a touch of black metal to create a sound of their own, the production sounds very professional while the lyrics cover horror, darkness and occultism themes. In my opinion Death Crvx are a very great sounding mixture of horror punk, dark goth and death rock and if you are a fan of those musical genres, you should check out this band. RECOMMENDED TRACKS INCLUDE "Phantom Blood" "Chrome Lips" "Lycanthropic Possession" and "Yellow Eye". 8 out of 10. Otavan Veret are a duo from Finland that plays space ambient music and this is a review of their 2018 album "Syvys" which will be released on December 21st by Cyclic Law. Atmospheric sounding drones start off the album while most of the tracks are very long and epic in length along with the synths bring in elements of ambient music as well as the music also bringing in a decent amount of programmed beats and all of the music is done in an instrumental direction. At times the music gets very atmospheric and ethereal sounding while the music also captures a good mixture of electric and acoustic sounds along with all of the tracks sounding very different from each other and the synths also bring in a variety of many different sounding keys. 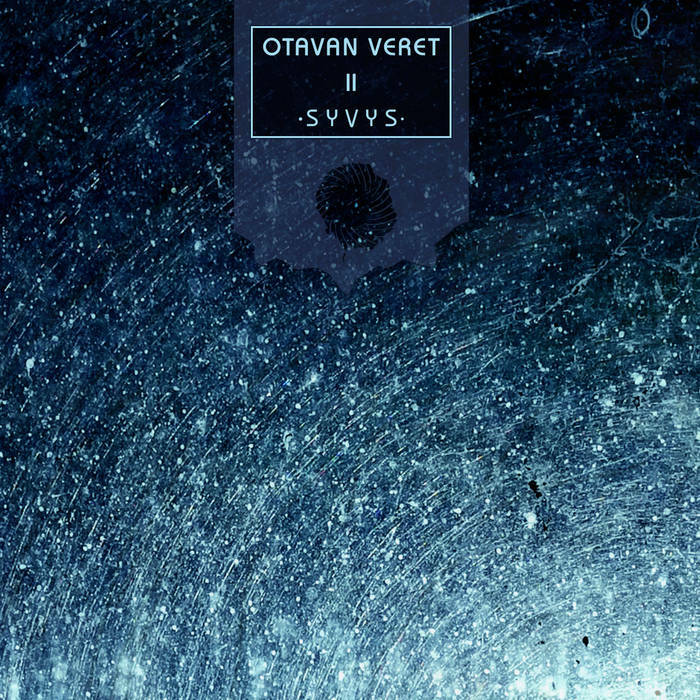 Otavan Veret plays a style of space ambient music that is very atmospheric and dreamlike sounding while keeping everything in an instrumental direction and the production sounds very dark. In my opinion Otavan Veret are a very great sounding space ambient duo and if you are a fan of this musical genre, you should check out this album. RECOMMENDED TRACKS INCLUDE "II" and "IV". 8 out of 10. Undantagsfolk are a duo from Sweden that plays a barren form of folk music and this is a review of their ep "Den ondes fingrar"which will be released in 2019 by Nordvis. Harmoniums start off the ep while the music also brings in elements of ambient while female vocals are also a huge part of the recording along with the nylon string guitars bringing in elements of folk music as well as using a good mixture of both finger picking and full chords and percussion's are added on the second track. 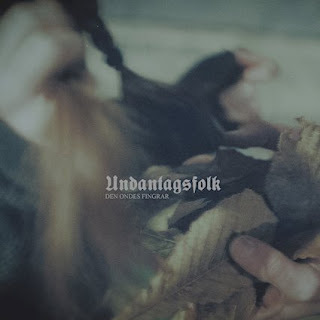 Undantagsfolk plays a style of folk music that is very barren and melancholic sounding along with some elements of ambient, the production sounds very dark while the lyrics are written in Swedish and cover arcane tales originating from rural Sweden. In my opinion Undantagsfolk are a very great sounding barren folk duo and if you are a fan of this musical genre, you should check out this ep. RECOMMENDED TRACK "Da All Tid Forsvinner". 8 out of 10. 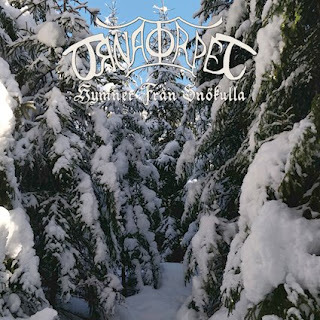 Ornstorpet are a solo project from Sweden that plays a mixture of dungeon synth and dark ambient and this is a review of his album "Hymmer fran Snockulla" which will be released in 2019 by Nordvis. Field recordings and nature sounds start off the album along with some ambient style synths a few seconds later while the music also mixes in elements of dungeon synth as well as all of the tracks being instrumental and the music also captures the atmosphere of a fantasy movie soundtrack. A couple of the tracks are very long and epic in length while the synths also add in a variety of many different sounding keys along with the music also going back to the 90's era of dungeon synth and as the album progresses the songs start getting more diverse and synths are the only musical instrument that are present on the recording. Ornatorpet plays a musical style that takes dungeon synth and dark ambient and mixes them together to create a sound of his own while also keeping everything instrumental and the production sounds very dark. In my opinion Ornatorpet is a very great sounding mixture of dark ambient and dungeon synth and if you are a fan of those musical genres, you should check out this solo project. RECOMMENDED TRACKS INCLUDE "Over Frusen Mark - I" "Manen Vandrar Sin Tysta Ban" "I Glandsande Skare Kring Knottriga Enar" and "Postludium - Midnatt Rader". 8 out of 10. Since Penance was completed we played some live gigs and we recently started recording our third album. We are currently working on promotion for Penance and completing the album to follow it. 2.Recently you have released a new album, musically how does it differ from the stuff you have released in the past? Penance is our rawest release so far. Our first album, Sanctum in the Light, was produced and precise in comparison. We wanted to react to that and create something that had a live, first take kind of feel, and we wanted to incorporate improvisations within the main song structures. There’s a running contrast of chaos and clarity throughout, and songs shift from riffs and melody into noise and drone. This was our first main recording with our bass player Joe who uses a lot of electronics and effects, while we included some cleaner vocal styles. The vocals were all mostly taken from demo takes because we liked the rawness. A big part of the album’s sound is the mix and ideas incorporated by Andrew Oswald at Secret Bathroom studio. Andrew did a lot of creative things with the vocals and balance to bring out different tones and atmospheres. 3.What are some of the lyrical topics and subjects the band explores with the new music? Penance is about failure, regret, atonement, and our relationship to time. It’s a reckoning and a coming to terms. What’s done, what’s to come, and what’s happening now. The lyrics explore themes of shame, guilt, and fear, and they ask questions about vision, fate, the self, and our ability to effect change. 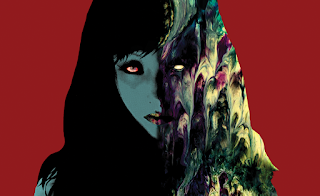 Everything I’ve ever written about in Of Spire & Throne has been very personal, but with Penance I really tried to get to the true heart of what I was feeling and thinking, and I tried to remove some of my usual veils and barriers. It’s the first time my lyrics have made me feel so exposed and uncomfortable, and that was very much the intention. 4.What is the meaning and inspiration behind the name 'Of Spire & Throne'? The name is meant to harness its associations with the personal while also presenting an opposition. My feeling has always been that the name conjures the idea of our personal beliefs and goals, vision and opposition, struggle and conflict, a dedication to something greater than the self – whatever it may be, and the sense of constant striving to reach or serve it. The artwork was painted by a friend of ours, Sarah Green. Sarah is an amazing artist who captures a special human vulnerability in her work. I see a delicate beauty among chaos in what she produces, and I’m very grateful that she agreed to let us use her work and that she created some original pieces for us. The theme of eyes and the suggestion of wounds in the images along with her unique style really matches with Penance: beauty and clarity among chaos and pain. I’d say our best shows have been more recent: supporting Godflesh in Edinburgh, playing Byker Grave in Newcastle, and playing with King Witch in Aberdeen, but we’ve had lots of great gigs across the UK, often in smaller venues and places that don’t get so many live gigs. Our stage performance is brooding and brutal, but not aggressive or confrontational. It’s changed over the years. Since Joe joined we started to make specific decisions around lighting and stage set up, and we started to put on a more physical show and get more into it, but I think we tend to back off and put the music forward. We don’t want it to be about us on stage, we want the music to envelop the room. Not right now. I recently moved to Canada to be with my wife, so live activities are on hold. We’re currently focusing on our next album, working long distance, but we will return to playing live in the future. 8.In 2017 you had also done a 'My Dying Bride' cover, what was the decision behind doing your own version of one of their songs? We were approached by Doom-metal.com to take part in a tribute to My Dying Bride, A Lake of Ghosts. They wanted the tribute to have an unconventional approach, and they purposefully asked bands who didn’t necessarily match up with My Dying Bride’s style. I’d always felt that I didn’t want to do covers in Of Spire & Throne, but I was open to the idea because My Dying Bride aren’t a major influence on us or our sound, but they’re a band I respect, and I really like their Songs Of Darkness, Words of Light album. It gave us a chance to try some new territory, and it was our first time recording with Joe. I chose My Wine In Silence because I love the song, but I asked to change the lyrics because I felt I needed to find my own expression to do it justice. 9.On a worldwide level how has the reaction been to your music by fans of sludge and doom metal? We’ve found our own small following within that fanbase across the world, but we’ve never really fit either grouping very comfortably. A lot of fans want things to be more conventional, which is fine of course, but we’re often a bit too much outside of expected styles and people don’t take to what we do. We have a lot of fans from outside of recognizable doom, sludge, or metal communities, and that’s always been surprising but very welcome. We’re getting more progressive, although not what I would call “prog”. It feels like unchartered territory to me, although I’m sure someone somewhere has done something like it before. We’ve already recorded most of our new album, and I would describe it as us trying to do an album in the style of King Crimson’s Discipline in one take. That’s a very loose interpretation. Thou’s Heathen was a big influence on Penance and I still find myself writing parts which remind me of its atmosphere. There’s also some obvious Bohren & Der Club of Gore in there, as well as some ideas taken from listening to Deicide and Ahab. I tend to be influenced by whole albums, so King Crimson’s Discipline has been a big influence on what we’ve been writing recently, so has Magazine’s Secondhand Daylight, while I’ve been finding more of my death metal tastes creeping into things. I’ve been listening to a lot of death metal recently: Disma, Dead Congregation, Morbid Angel, while I’m a sucker for all of the synthwave stuff that’s all the rage right now. Also a lot of Sumerlands, Speedwolf, Weedeater, and Scott Walker. I always listen to a lot of Judas Priest. Music takes up most of my spare time, but I also like film (especially horror) and reading, while I keep meaning to start making board games and writing. I end up with long lists of creative projects that I don’t get round to starting or finishing. I’d just like to say thanks for the interview and for the thoughtful questions, and we’d just like to say a sincere thanks to everyone who has been listening and supporting us. Gandalf's Owl are a solo project from Italy that has been featured before in this zine and on this recording plays a very progressive and psychedelic form of ambient rock and this is a review of his album "Who's the Dreamer" which will be released in 2019 by Club Inferno Ent..
Atmospheric sounding drones start off the album while guitar leads are also utilized at times along with the music also adding in a great amount of synths and ambient elements as well as the music also adding in programmed beats into some parts of the songs and some of the tracks are long and epic in length. A great portion of the tracks are instrumentals while the music also gets very progressive at times along with a great amount of psychedelic elements as well as all of the musical instruments having a very powerful sound to them as well as some tracks also adding in clean vocals, as the album progresses spoke word parts, water and nature sounds can also be heard briefly and the album closes with a cover of Le Orme's "II Vento, La Notte, II Ciele". On this recording Grandalf's Owl creates more of a progressive and psychedelic style of ambient rock as expanding on the sound he introduced on the ep and the production sounds very professional. 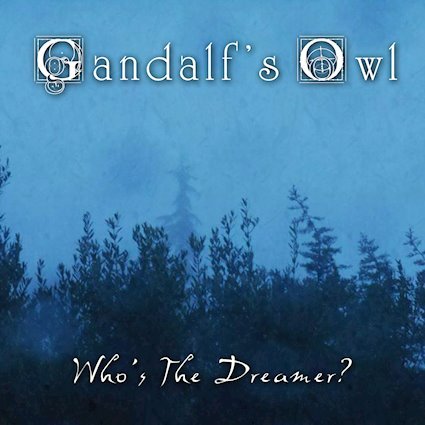 In my opinion this is another great sounding album from Gandalf's Owl and if you are a fan of progressive and psychedelic ambient rock, you should check out this recording. RECOMMENDED TRACKS INCLUDE "Winterfell" "Garmobozia" and "Coming Home". 8 out of 10. O Saakra Sakraal are a band from Sweden that plays an improv and percussion orientated form of experimental music and this is a review of their 2018 album "Etmaal" which will be released on December 21st by Cyclic Law. Atmospheric sounding drones start off the album while a couple of the tracks are very long and epic in length along with some ambient style synths also being utilized at times as well as the music also having its avant garde moments and all of the music is done in an instrumental direction. 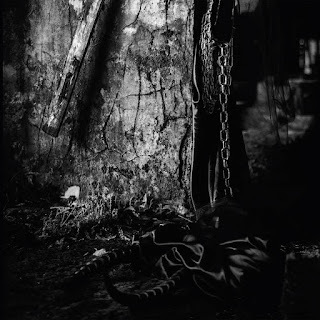 At times the music gets very experimental along with the use of 5 different percussion players which also gives the songs more of an improved ritualistic and tribal atmosphere along with some chants also being added into certain sections of the recording as well as a brief use of power electronics and industrial elements and spoken word parts can also be heard briefly on the closing track. O Saakra Sakraal plays a musical style that takes experimental, ambient, improv and percussion music and mixes them together to create a sound of their own and the production sounds very dark. In my opinion O Saakra Sakraal are a very great sounding improv and percussion orientated experimental band and if you are a fan of this musical genre, you should check out this album. RECOMMENDED TRACK "Lilit". 8 out of 10. Shrine is a solo project from Bulgaria that plays a mixture of dark ambient and atmospheric soundscapes and this is a review of his 2018 album "Celestial Fire" will be released on December 21st by Cyclic Law. Dark ambient soundscapes start off the album along with some atmospheric sounding drones while all of the tracks are very long and epic in length as well as the music also mixing in elements of a more underground industrial style and sci-fi style spoken word parts can also be heard briefly. Field recordings can also be heard in certain sections of the recording while synths are also a very huge part of the music along with most of the songs being instrumental as well as all of the tracks sounding very different from each other. and as the album progresses a brief use of nature and water sounds can be heard. Shrine plays a musical style that takes dark ambient, drone, soundscapes and filed recordings to create a sound of his own, the production sounds very dark while the song themes focus on a historical fiction story based in Antarctica and some discoveries made by the Polynesians and Charles Darwin mixing in some non fiction elements. 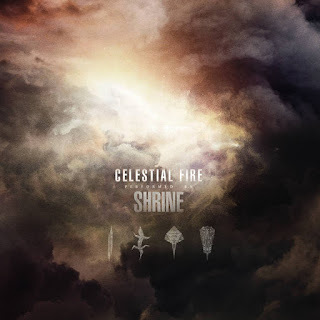 In my opinion Shrine is a very great sounding mixture of dark ambient and atmospheric soundscapes and if you are a fan of those musical genres, you should check out this solo project. RECOMMENDED TRACKS INCLUDE "Infada Stone" and "Celestial Fire'. 8 out of 10. 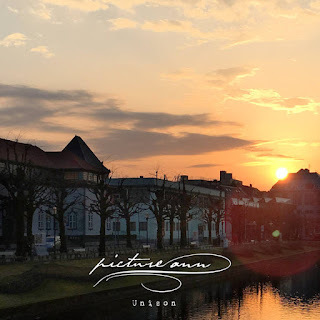 Norway's Picture Ann have returned with a new song shows the music going into more of an isntrumental ambient direction and this is a review of their 2018 single "Unison" which was released by Floodgate Moods Productions. Clean playing starts off the song along with some programmed beats a few seconds later while all of the music is instrumental and the song is only 3 and a half minutes in length and the production sounds very dark. In my opinion this is another great sounding track from Picture Ann and if you are a fan of experimental and ambient, you should check out this single. 8 out of 10. 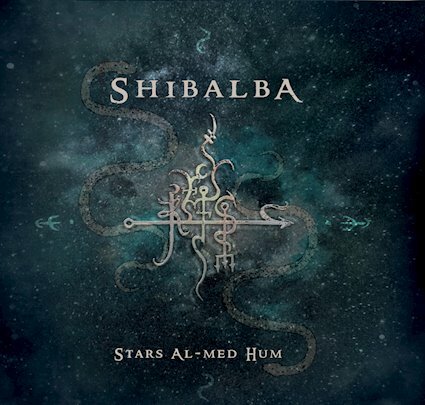 Shibalba are a musical project with members from Greece and Sweden that has had music reviewed before in this zine and on this recording plays a mixture of meditative, ritual, Shamanic music, ambient and dark trance and this is a review of their 2018 album "Stars Al-Med Hum" which was released by Agonia Records. Ambient style drones start off the album while all of the tracks are very long and epic in length while programmed beats are also utilized at times as well as the music serving as a soundtrack for a sexual Tantric Magick meditation and ritualistic chants are also added into certain sections of the recording. Synths are also a very huge part of the recording while spoken word parts and whispers can also be heard at times along with some songs also bringing in elements of dark trance while guitars are also added into some parts of the music and as the album progresses more more ethnic instruments and shamanistic and Tibetan music touches are added onto the recording as well as all of the songs sounding very different from each other. On this recording Shibalba takes meditative, ritual, Shamanic music, ambient and dark trance and mixes them together to create another ritualistic occult album, the production sounds very dark while the song themes focus on Tibetan, Shamanism, Tantra and Eastern Occultism. In my opinion this is another great sounding recording from Shibalba and if you are a fan of meditative, ritual, Shamanic music, ambient and dark trance, you should check out this album. RECOMMENDED TRACKS INCLUDE "Alignment I Fa Ra On" and "Alignment V Egi Pto". 8 out of 10. Martin Dumais is a solo project from Montreal. 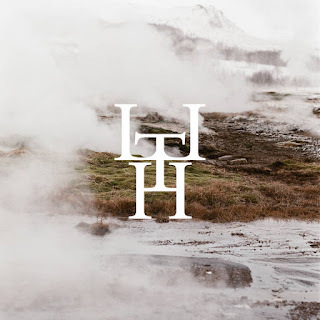 Quebec, Canada that plays a mixture of dark ambient and techno and this is a review of his 2018 album "Ferrochrome" which was released by Liberation Through Hearing. Ambient style soundscapes start off the album along with some programmed beats a few seconds later while the music gets very experimental and avant garde at times as well as synths also being utilized quite a bit throughout the recording and on some tracks the music also mixes in elements of techno. Most of the music is instrumental while most of the songs sound very different from each other along with some post rock elements also being used briefly and as the album progresses a brief use of vocals can also be heard as well as some tracks also adding in some atmospheric sounding drones. Martin Dumais plays a musical style that takes ambient and techno and mixes them together to create a sound of his own while keeping most of the music instrumental and the production sounds very dark. In my opinion Martin Dumais is a very great sounding mixture of dark ambient and techno and if you are a fan of those musical genre, you should check out this solo project. RECOMMENDED TRACKS INCLUDE "Hissed" "Spark Up" "Wintered" and "Chrome Tape". 8 out of 10.